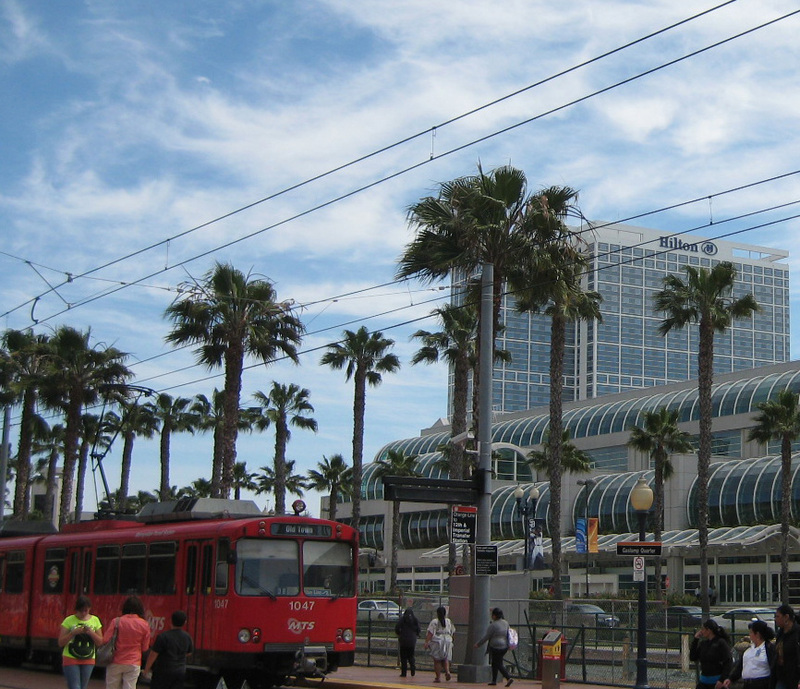 While San Diego does not have the public transportation system of Chicago or San Francisco, it is very easy to navigate the transit system to get you where you might want to go! For driving directions via the web, use Google Maps or other mobile apps navigation, additionally San Diego Metropolitan Transit System is participating in Google Transit. You can also pick up a map at the Airport or at the International Visitors Center. If you are traveling without a car, first check the San Diego Transit Map for travel options and timetables. If you think you might be out longer than a few hours or using bus and trolley combination, your best bet is to purchase a day pass for $5.00. Make sure you have cash or purchase a day pass at one of the ticket vending machines. Regional all-day passes are available for purchase as well. Here are few points of interest and the way to get there without a car! This trip includes a transfer from either the #929 Bus to the #7 Bus, OR the Blue Line Trolley to #7 Bus. If you don’t mind walking a few blocks, Little Italy is just a trolley ride away from the hotel! If you are wanting a unique, scenic adventure to view the San Diego Bay and the Pacific Ocean, check out the Silver Strand State Beach! The ride very convenient from the San Diego Bay Front Hotel on #901 Bus across the Coronado Bay Bridge and Coronado Island. Stay tuned for more information about local attractions and other exciting places to visit! This entry was posted in Attractions, General information and tagged airport, balboa park, beaches, bus, Coronado, hotel, transportation, trolley, zoo. Bookmark the permalink. Since many of us don’t get reimbursed very generously, this is an especially important blog post! Any restaurant recommendations (or fruitful restaurant areas) that are also easy walking or easy public transport from the hotel? Again, let me say that I really appreciate the local arrangements doing this blog and especially the public transport info. I notice that there are no zipCar lots anywhere to the hotel, either. Sigh. Yes, the host committee is preparing a dining and transportation guide with information about places near the hotel. We’ve also started a google map showing those places, which we’ll announce on the blog once it’s ready. For a zip car, the closest location is UCSD – Hillcrest. It is about a 15 minute walk + 25 minute bus ride from the hotel to the UCSD Medical Center, see: http://tinyurl.com/868dwbx. There is another car sharing option in San Diego called car2go, which is great, however there is a membership fee and process before eligibility to use it, see: http://www.car2go.com/sandiego/en/registration/.